On 9-10 March, QCEA held its General Assembly in Brussels. As per tradition, our GA agreed upon an Epistle which you can find below. Translations are available in French and Dutch. We are thrilled that a year after the transition process, the Quaker Council for European Affairs (QCEA) has become an even more outward looking, professional, and dynamic organisation, posing an inspiring challenge to current political and social trends. In a European climate of exclusion and scapegoating there is a need for the voice of belief and values — which was present at the foundation of the EU — to be heard again. There is a sharp question about how much our voice is being heard. In our round up of news of European states and institutions from QCEA staff and country representatives, recurrent themes were a swing to populism, a disengagement from multiculturalism, and a lack of basic attitudes of care for the dispossessed and dislocated. We are also concerned that important decisions within EU bodies are being taken non-democratically behind closed doors. QCEA is working from a vision with specific goals to create change politically and culturally, focusing on the two main programmes of Human Rights and Peace. The reports on child immigration detention, and hate speech in online news comment sections bring ethical substance to debate within the EU. Work in quiet diplomacy, networking, coordinating with other organisations, and cultural activities make QCEA an important player in Brussels. The results of these activities are sometimes difficult to anticipate, but will resonate in the long-term. EU organisations are undergoing a process of militarisation. The EU is rapidly investing in a common European military force in the form of the Permanent Structured Cooperation on security and defence (PESCO) and is using development funds for military training and hardware. 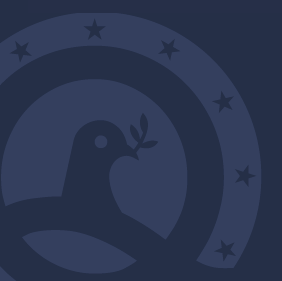 In this context, QCEA has just published a reference work “Building Peace Together” that includes 40 tools and 80 examples of nonviolent peacebuilding. Our Peace work tells the ‘good news’ in these disturbing times. Working closely with other groups we are building a sense of the positive, telling practical stories of conflict resolution, and maintaining our place as a trusted actor in EU debates. This is ambitious work, but QCEA is currently operating with a budget deficit, and given current funds and grants the Council is only supported in the very short term. We encourage all European Quakers to support this important advocacy work which is our common endeavour and is being carried out in our name.